So far 2015 had some great collaborations for me in the bag and now there’s one more in the bank. 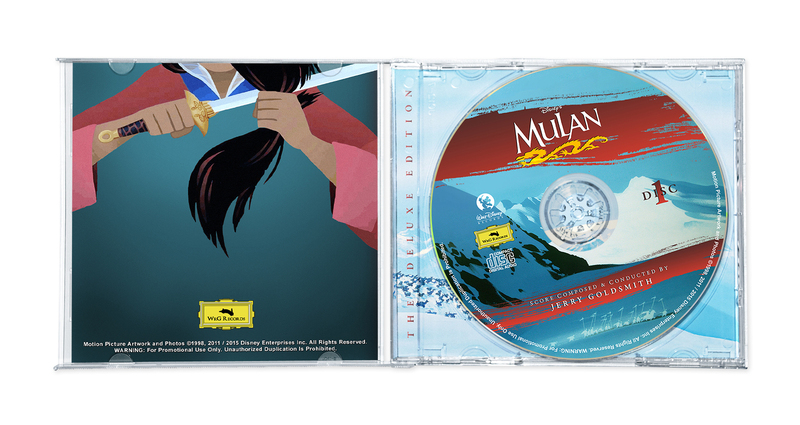 All of these artworks were created for an unofficial fan release of Jerry Goldsmith’s Oscar nominated score to Mulan. To be honest, I’ve never heard the music (or seen the film for that matter) before, but when I was asked to work on this project, I immediately accepted. I have the deepest respect for the person behind this and therefore I felt accordingly high pressure. But I was met with incredible patience and was even encouraged to take the time necessary. It took me almost four weeks to finish this series and I sometimes pondered over the smallest details for days. Or nixed entire designs in the last minute. This is mostly due to the fact, that I had to create full blown artworks including inner sleeve, back sleeve and disc labels. And this was a first for me. 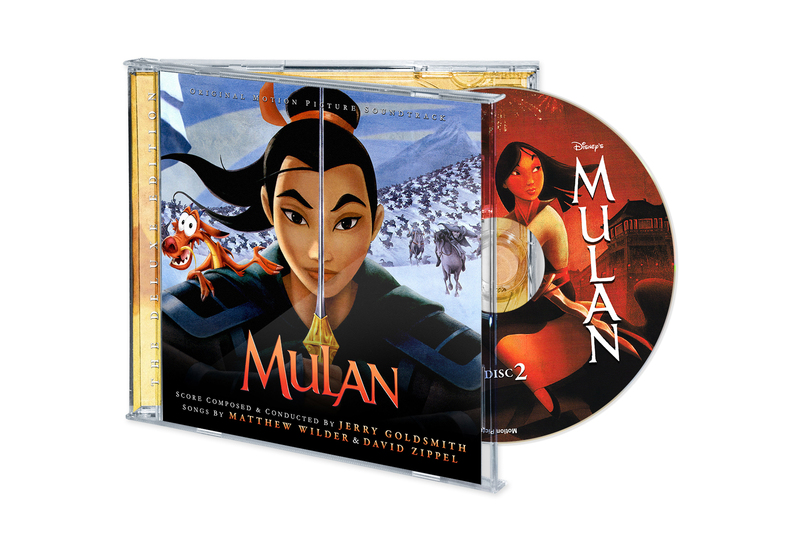 Also, Mulan isn’t exactly a film with tons of source material. Nevertheless I loved creating these customs and I’ve also learned a ton of new things during the making of these. A thoroughly precious experience I wouldn’t want to miss. My first custom cover (#1) is the most traditional one in the whole bunch, relying almost entirely on officially licensed promo material. The only real customization was the addition of a few red tinted brushstrokes to make it a little more exciting (ditto for the two CD labels). The seemless transition from the front cover to the inner sleeve (#2) was tricky. I ended up using the very same image and removed the Mulan character by hand, which was quite some work. The front image of the second artwork (#7) was basically ready for pickup, all I did was darken the bottom area to get a better contrast with the text. I really love the combination of blue and orange in this one. The back cover (#10) features a cool drawing of Mulan in a fighting pose created by Ry Spirit. I wrapped the text around it and it worked wonderfully. I also think the red CD labels create a beautiful contrast to the rest of the artwork. 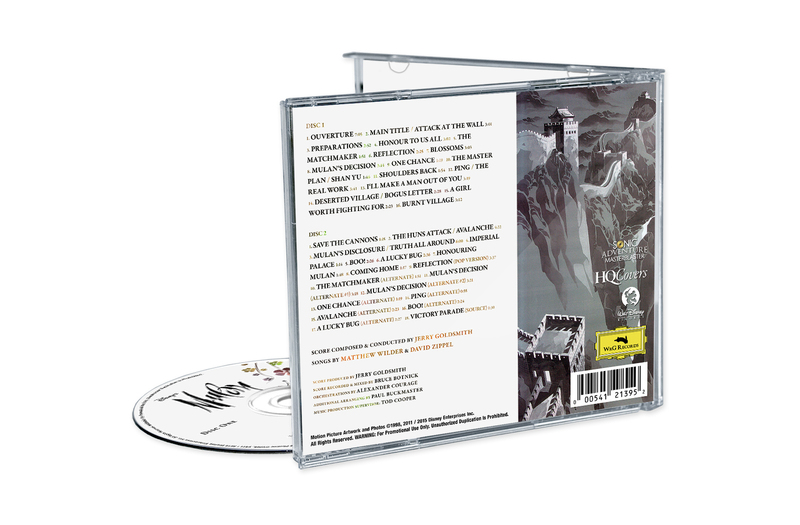 I used the official cover art for the first disc (#11) and tried to match the design (colours, textures, shadings, etc…) of the second disc (#12). This custom cover is certainly the most experimental one in this collection. It prominently features a beautiful drawing on the front cover (#13), one of which I unfortunately can’t find the original source anywhere. All other images, including an awesome alternate movie logo, were created by Hans Bacher, who is a production designer in the animation film industry. I really love the Chinese influence on this one. By relying entirely on concept art, I managed to achieve a very distinctive look. Also, I’m sorry about the forced line breaks within the tracklists on the back (#16). The narrow horizontal space takes its toll here. The final cover (#19) was actually the one I started with into this series. And it was also the last one I’ve finished. All in all this was obviously heavily influenced be the Lord of the Rings Complete Recordings. I thought with this being a Deluxe Edition and all, I needed one of those fancy book-style designs. This would work far better as a leathery digipack, but since it’s supposed to be printed out, a Jewel case template was necessary. Feel free to have a closer look in the gallery below. 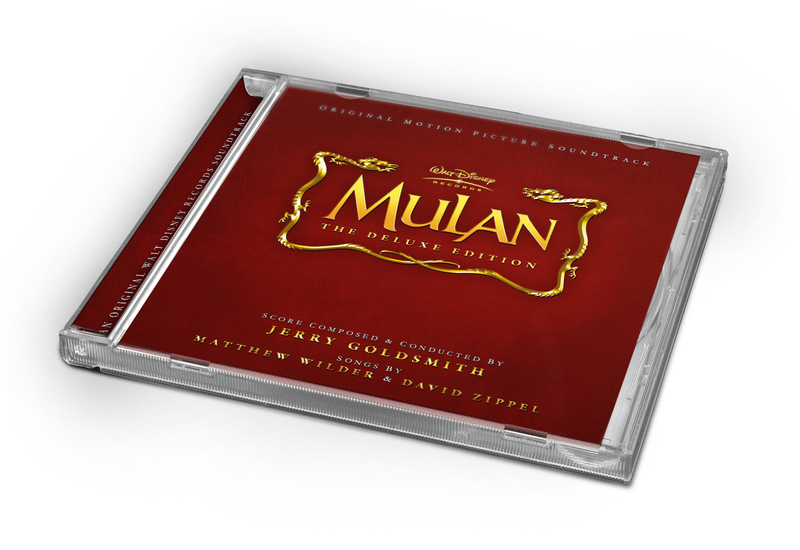 And for more information on this Deluxe Edition, please consult the search engine of your choice, thank you.